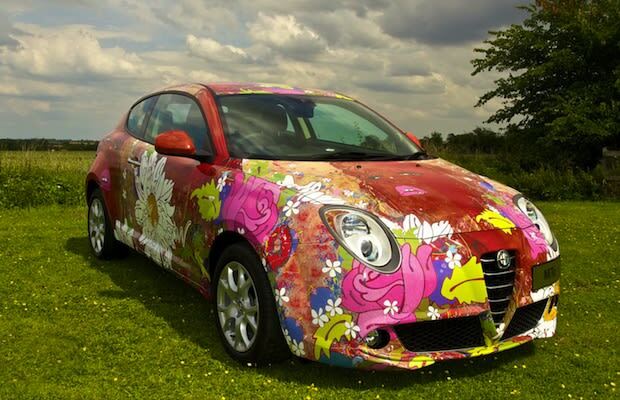 Alfa Romeo has collaborated with artist Louise Dear for a one-off art car to commemorate the launch of the new Alfa MiTo. The eco-friendly car emits 95g/km of CO2 and is powered by an 85-horsepower engine making it congestion charge free. The Italian automaker showcased the artwork at a Artica Galleries on July 14.